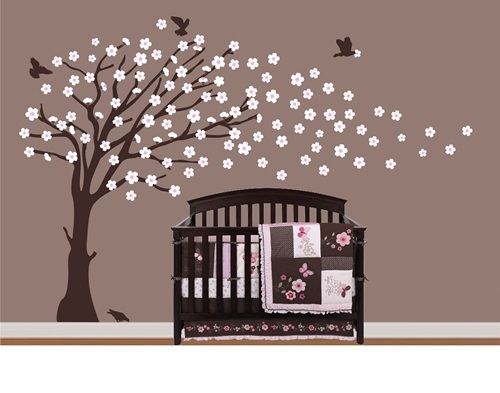 Designing your baby room is one of the most enjoyable things in life and choosing the room’s theme is the best part of it. 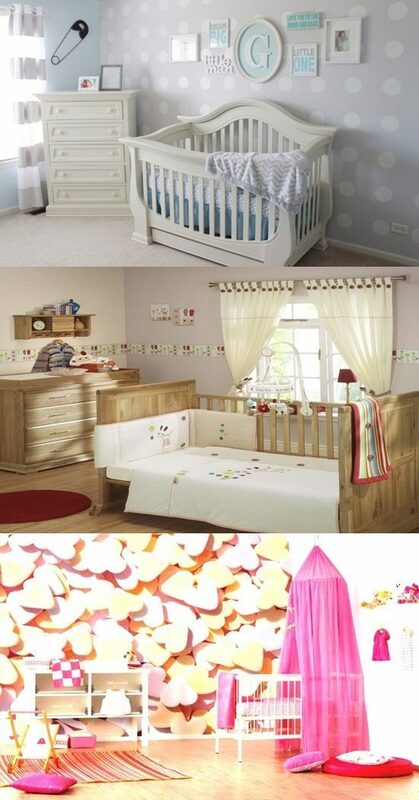 You will find many themes that fit both girls and boys, when you look for baby room themes. 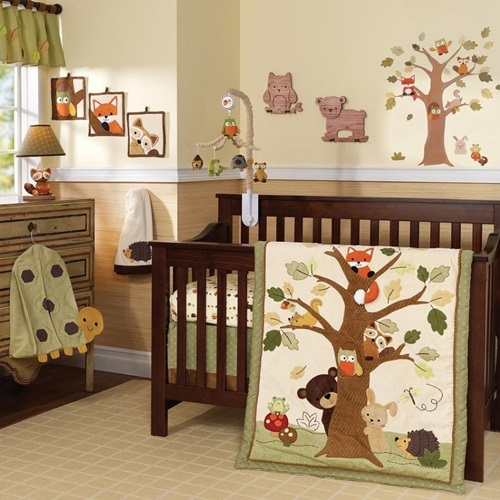 You can choose the traditional theme that includes sports like baseball for boys, princesses like snow white for girls or jungle theme for twins. 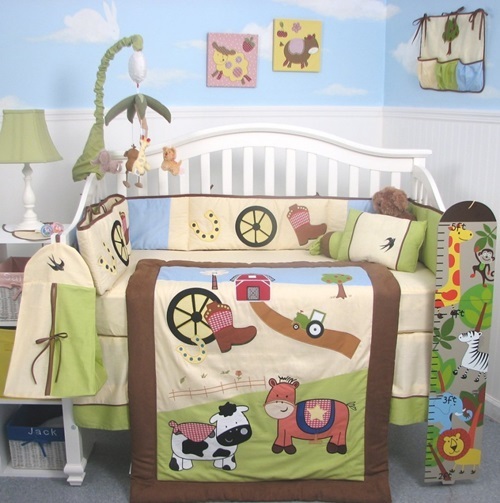 Animal themes that include kittens, puppies, Teddy bear or farm paintings are so popular as well. 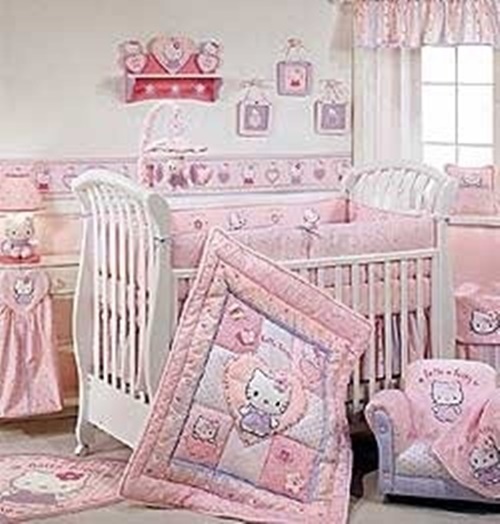 You can also choose cartoon character theme, this theme with its cheerful pictures and colors will be the perfect choice for your baby room. You will find many cartoon characters to use like, Spiderman, Bugs Bunny, snoopy, spongebob, etc. 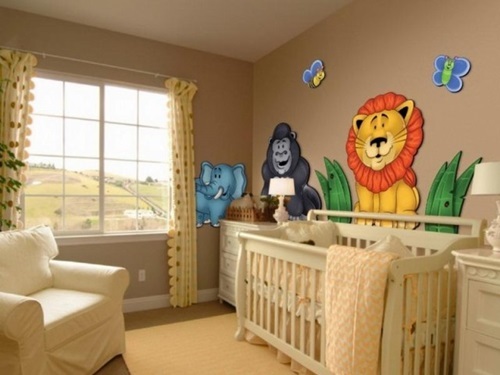 Disney characters theme is the theme for all time, may be it was your room’s theme when you were a baby and you still can use it as your baby room theme now. You can use the adorable Disney cartoon characters like, Mickey Mouse, Donald Duck, Goofy, Tom and Jerry, Winnie the Pooh, etc. and if you want a more girly Disney character theme you can use Snow White, Cinderella, or Minnie Mouse. 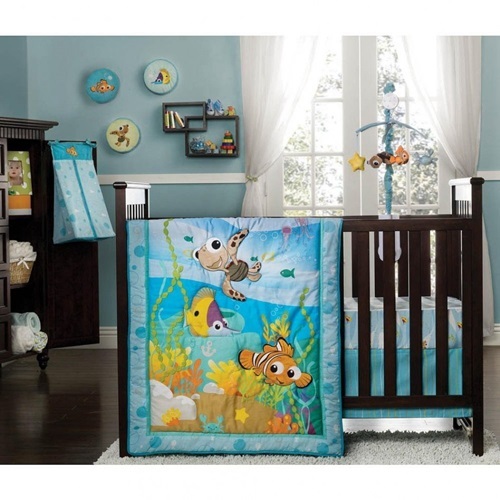 Underwater themes would be a perfect choice for your little sailor. 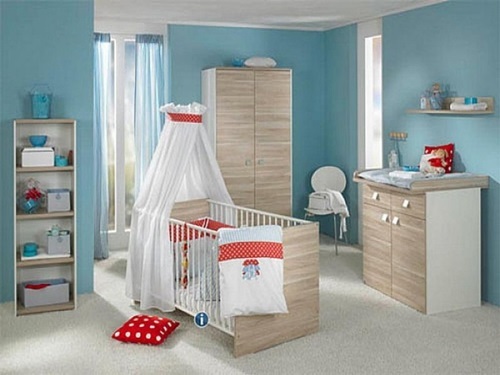 It will really add such a comfortable feeling to your baby room with its soft blue color. You can use colorful fishes and dolphins wallpapers. You can also draw some sea waves or sea shells on the walls. If you want the theme to be more girly, go for the mermaid theme. 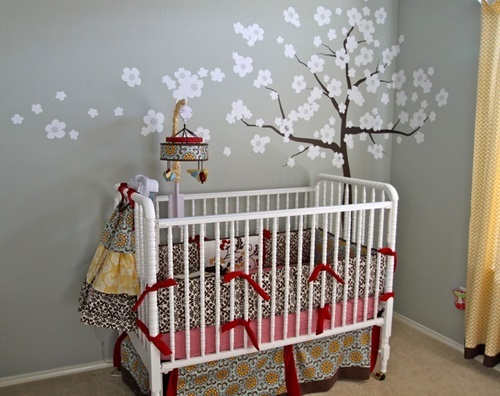 You can even use a very simple design without any baby features like painting the baby girl room with pink and the baby boy room with blue. You can also go different and use other bright colors like, red, green, yellow or soft pastel colors. 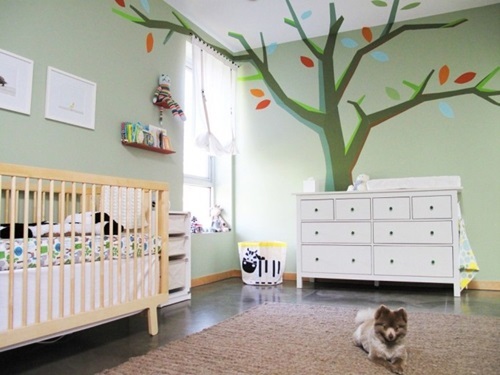 As a creative touch you can draw some drawings on the walls like, drawing clouds on the ceiling, or some joyful murals like, alphabet blocks, numbers, or your baby name. 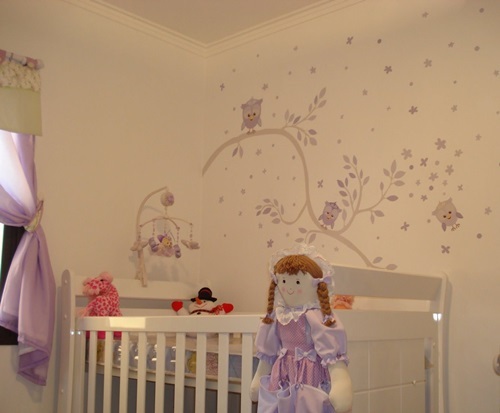 For more creative ideas, you can use the handprint banner running through the baby room with your baby handprint on it. 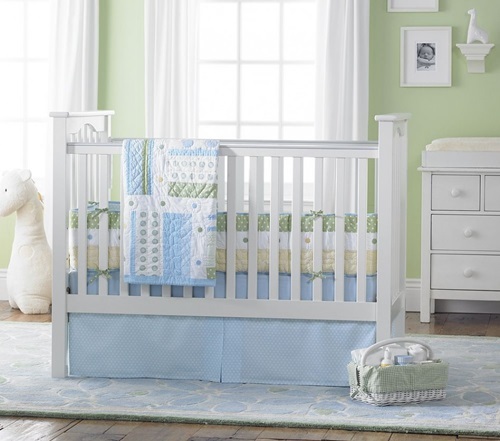 Some parents prefer to use modern or vintage themes with simple accessories to make the baby room matching with the entire home design. 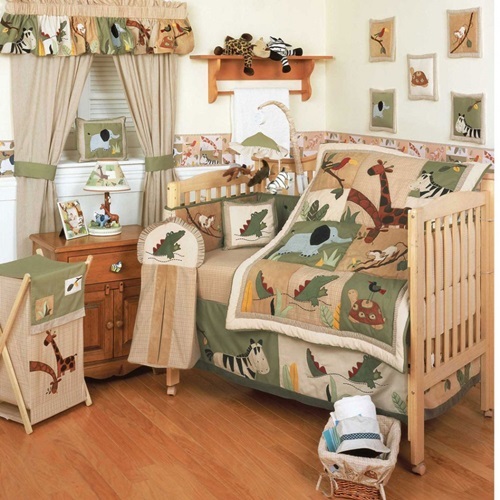 Remember, the baby room theme isn’t only about wall papers or wall paintings; you should integrate the theme with every little detail of your baby room including the blankets, sheets, curtains, rugs, lamp shades etc.